Question: Note the changes in QRS height in V1-V4. What do you think is the cause? 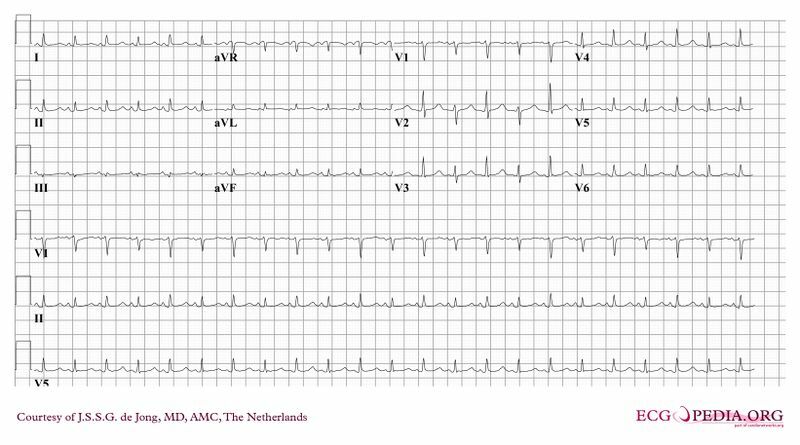 A. AV re-entry tachycardia through a concealed bypass tract. D: This patient had massive pericardiac effusion with a swinging heart. This page was last edited on 10 August 2012, at 16:15.